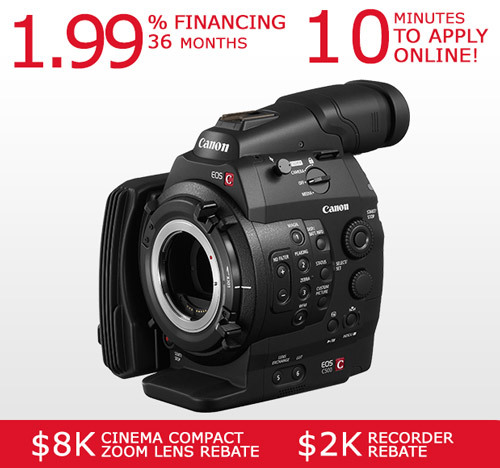 Canon C100 $500 Instant Rebates! 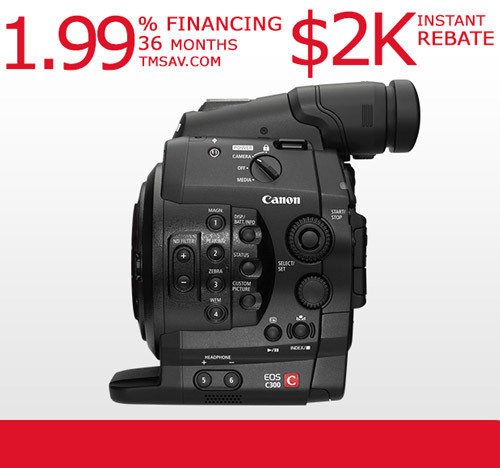 Canon C100 $500 Instant Rebates Announced Today! 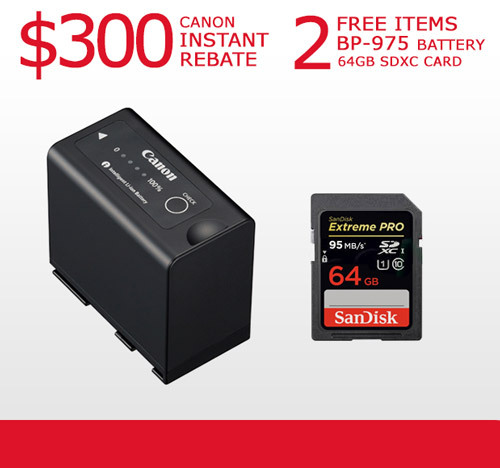 $500 Instant Rebate & $300 Instant Rebate for Battery & SDXC Card Can Be Combined! Canon is offering an Instant Rebate of $300 on the purchase of an EOS C100 cinema camera, a BP-975 battery pack, and 64GB SDXC memory card when bought together. Battery & SDXC $300 Rebate Expires September 30, 2014. 1.99% & 2.99% Interest Lease Program: Canon ITCG, in partnership with Canon Financial Services, Inc. is offering 1.99% financing for 36 months and 2.99% for 24 month leases. These special rates are only available until September 30th, 2014!